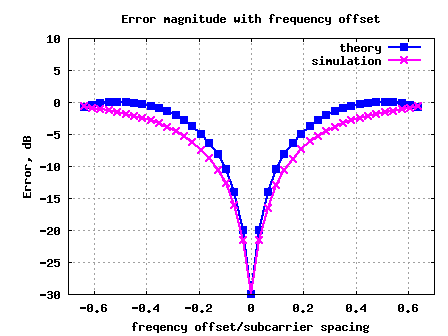 Let us try to understand simulation of a typical Orthogonal Frequency Division Multiplexing (OFDM) transmission defined per IEEE 802.11a specification . From the Table 79 in [80211A ], the symbol duration . To understand in detail the correspondence between the subcarrier index and frequency, one may refer to a previous post (here ). 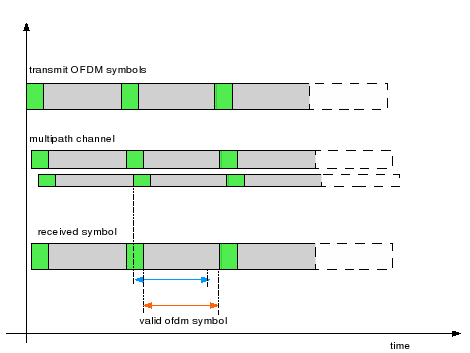 Once the bits in each symbol are assigned to appropriate IDFT inputs (Ref. 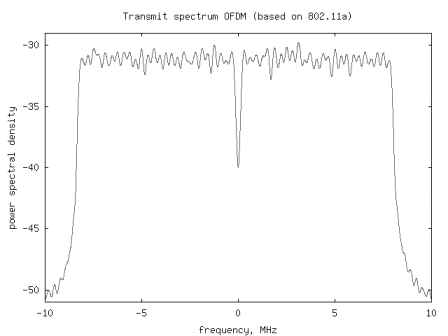 Figure 109 in [80211A ]), the IDFT operation is performed to obtained the time domain signal. 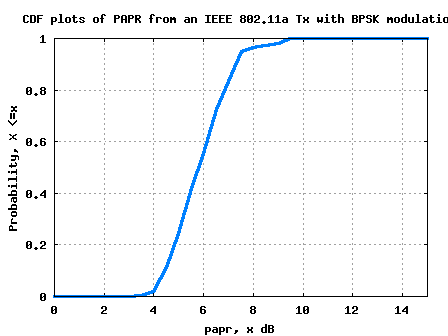 A simple Octave script where a BPSK modulated signal is transmitted on the 52 used subcarriers, may be used for understanding generation of an OFDM signal. The script is loosely based on 802.11a specification .